In a compelling and very human narrative, Wrath of Angels traces the rise and fall of the American anti-abortion movement and reveals its critical role in the creation of the Religious Right. The book explores why the passionate battle to end abortion failed to achieve its goal and yet in the process became one of the most important—and least understood—social protest movements of the twentieth century. This narrative history captures all the drama of the abortion battles of the past twenty-five years and reveals how a movement with its roots in the Catholic left’s antiwar protests of the 1960s was gradually transformed into a rallying point for the newly muscular Religious Right. 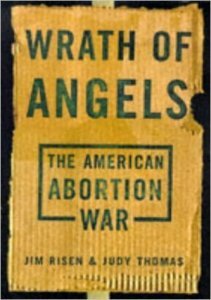 Wrath of Angels documents the origins of the use of civil disobedience in the anti-abortion movement and offers the definitive explanation of why the movement ultimately descended into violence—and collapsed as a political force. It tells the compelling story of the shootings of abortion doctors in the 1990s and draws upon exclusive interviews with the anti-abortion extremists who have been convicted of these crimes.Anti-abortion activism represents the largest social protest movement since the 1960s.